Stoke City FC midfielder Bojan Krkic has joined 1. FSV Mainz 05 on loan until the end of the season. The 26-year-old will wear the No.10 shirt vacated by Yunus Malli, who joined VfL Wolfsburg during the winter break. Click here to sign Bojan to your Official Fantasy Bundesliga team! "For me it's an honour that Mainz have given me this opportunity to prove myself at a club in another top European league," Bojan said. "I'm looking forward to seeing the team, as well as the fans, and being able to help the Zerofivers on the pitch. I'm really happy to be here." A product of FC Barcelona's La Masia academy, Bojan made his first-team debut in 2007. After breaking Lionel Messi's record as the youngest Barcelona player to feature in a La Liga match - aged 17 years and 19 days - he went on to win two UEFA Champions League titles, three La Liga crowns and the Spanish Cup. 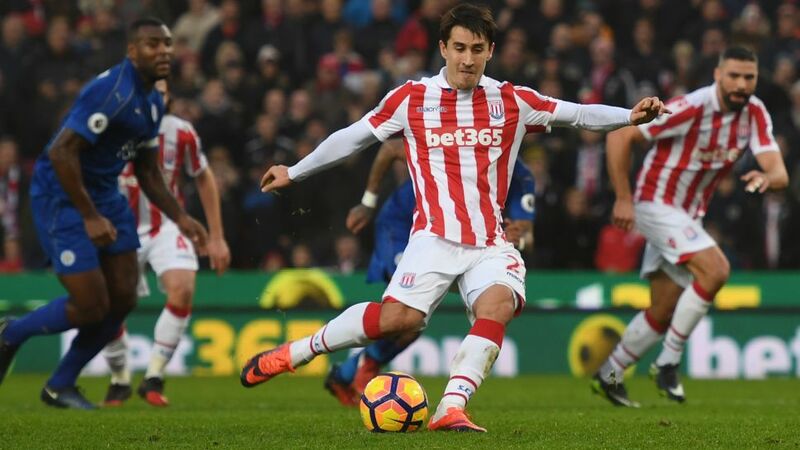 Bojan later enjoyed spells with Italian duo AS Roma and AC Milan and Dutch giants AFC Ajax, before moving to Stoke in July 2014. The one-time Spain international made 52 English Premier League appearances for the Potters, scoring 14 goals. Click here for more 1. FSV Mainz 05 club news!